This article examines the four essential steps that must be undertaken by a lienor on a private non-bonded job in order to protect their lien rights in Florida. Section 713.37, Fla. Stat., provides that the Florida construction lien law statute shall not be subject to any rules of liberal interpretation in favor of the people to whom it applies. Rather, it is “strictly construed” and strict compliance with its provisions is required. Accordingly, lienors need to be cautious and careful in perfecting and prosecuting their lien rights. Not every person that provides labor, material, or services upon a construction project is considered a lienor and afforded the protections under Ch. 713, Fla. Stat. Generally, the following persons are designated as having lien rights under Florida construction lien law: laborer; materialman; contractor; subcontractor; sub-subcontractor; subdivision improver; and a professional lienor, such as an architect, engineer, or surveyor or mapper. In order for any of these persons to perfect their lien rights in Florida they must take the following steps: Step 1: Any contract exceeding $2,500.00 requires that the owner record in the public records a Notice of Commencement before work begins. Further, the owner is also required to post a certified copy of the Notice of Commencement at the job site. Step 2: If the lienor has a direct contract with the owner, that is, is in privity with the owner, then the lienor can go to step three. If the lienor does not have a direct contract with the owner, then the lienor must serve a Notice to Owner upon all upstream lienors that the lienor does not have a contract with. The purpose of the Notice to Owner is to provide notice to all of those to whom the lienor does not have a contractual relationship with. The Notice to Owner must be served prior to commencing to furnish labor, materials, or services, or no later than forty-five (45) days after commencing to furnish labor, materials, and services. Step 3: This step must be completed by all lienors, irrespective of whether or not they are in privity with the owner; all lienors must record their claim of lien no later than ninety (90) days after the final furnishing of their labor, materials, or services. The ninety (90) day period runs from the time that the lienor provided substantive work, not minor punch list items or repairs. Step 4: The last step is to file an action to foreclose upon the construction lien. Generally, the lienor has one year to file an action to foreclose upon its lien, or it is deemed extinguished. The one year time frame can be shortened by the owner by the filing of a notice of contest of lien which shortens the time period to sixty (60) days to file suit. Further, the owner can also file a lawsuit to show cause, wherein, the complaint is based upon section 713.21, Fla. Stat., and the clerk of court issues as summons to the lienor to show cause within in twenty (20) days why his or her lien should not be enforced. 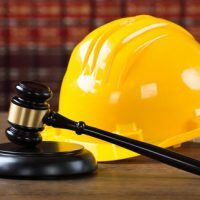 If you are involved in a construction project and receive either a notice of contest of lien or order to show cause then it is imperative that you seek legal assistance immediately in order to preserve your rights under Chapter 713, Fla. Stat.